The insect’s resting posture—ostensibly in prayer—has given it the image of a pious and gentle creature, hence its name. It’s strange shape and posture has perpetrated the belief that it is a soothsayer. 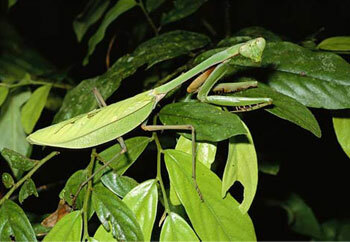 Among the Gonds of Vidarbha (Maharashtra), the vaid or medicine man keeps a praying mantis as a pet. He worships the insect and uses it for fortune-telling. This is a very unusual practice and its origin and significance are unknown.